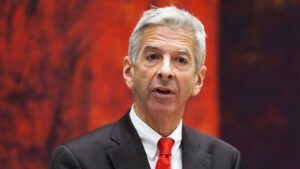 THE HAGUE - Dutch Minister of Home Affairs and Kingdom Relations Ronald Plasterk will visit Aruba, Curaçao and St. Maarten in the week of February 20, 2017. He will meet with the new governments of Curaçao and St. Maarten. Plasterk announced his visit to the three Dutch Caribbean countries during a meeting with the Permanent Committee for Kingdom Relations of the Second Chamber of the Dutch Parliament on Thursday. The justice sector, the lack of progress to fully execute the Plans of Approach for the St. Maarten Police Force KPSM and the Pointe Blanche Prison, and the establishing of an Integrity Chamber for St. Maarten will be some of the subjects the Minister intends to discuss with the country’s new government. Plasterk indicated in response to concerns expressed by Member of the Second Chamber André Bosman of the liberal democratic VVD party that he would certainly discuss the Plans of Approach, which are key to strengthen the Police Force and prison. Bosman said it was important to get seriously moving with the adapted Plans of Approach. “All indications are that there is a lack of political commitment from the side of the St. Maarten Government. The spade has to go into the ground,” he said. Plasterk also mentioned the recent arrests that have been made in St. Maarten. He said this was the cooperation that the Dutch Parliament had asked for. He agreed with Bosman that this was a “big step.” Justice, he added, remained a “focal point.” “It is not done as yet,” he said. The independent observing of elections in the Dutch Caribbean countries was discussed as well during Thursday’s meeting. The Second Chamber has been urging the Dutch Government to ensure that independent observers are present during the elections. This was not the case during the recent elections in Curaçao and St. Maarten. In response to questions from members of the Permanent Committee for Kingdom Relations, Plasterk said he would again bring up the matter in the talks with the countries, but that he wasn’t a proponent of securing obligatory independent observers through legislation. According to Plasterk, this would involve a complicated trajectory which required approval of all countries within the Kingdom. Bosman said that having observers at the elections should be “something automatic, a natural process” to safeguard fair elections. In Curaçao, during the Minister’s visit this February, the Isla refinery and the pollution that it causes will be on the agenda. In Aruba, he will be present at meetings of the Overseas Countries and Territories Association OCTA and the Caribbean Sustainable Development Forum (CSDF).